Arjun Kanungo, whose songs struck a chord with the audience, says he mostly makes music for the people, and wants them to enjoy it. 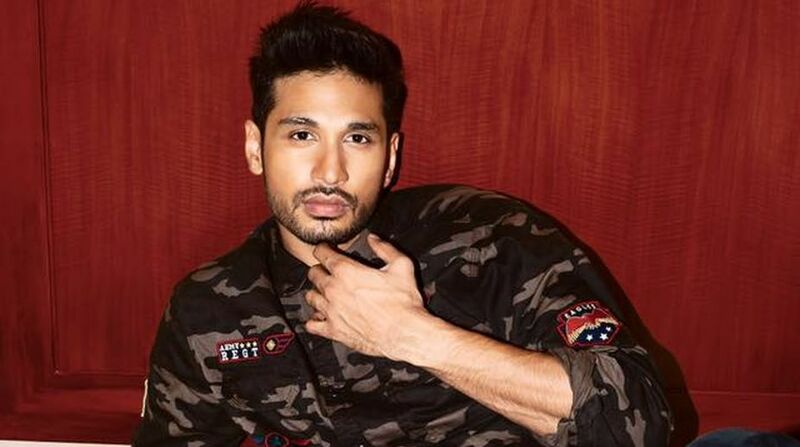 Singer Arjun Kanungo, whose songs like Baaki baatein peene baad and Fursat struck a chord with the audience, says he mostly makes music for the people, and wants them to enjoy it. The year is coming to an end and people are in a mood to celebrate. Was the party mood on his mind while releasing his latest club track titled Gallan tipsiyaan? “It is all about timing. I make music for the people. I want people to enjoy my music. So I make sure to understand what works for the audience. A part of it is for myself but a lot is for the audience. I feel that right now everyone is in a mood to party. November-December is the time when everyone listens to party music so I thought it was a good time to release the song,” Kanungo said. The song, which came out earlier this week, has been viewed over two million times on YouTube. His other singles were also chartbusters. What clicks with the audience every time? “I think the audience wants to listen to good music. It doesn’t matter where it comes from. You need a good person who believes in you. I am lucky to have a lot of people who believe in me and promote my music, including radio stations and channels. “We can no longer be only about Bollywood music. All over the world, we have pop stars so India is not far away,” he said. Composed and sung by Kanungo with lyrics by Vayu, Gallan tipsiyaan captures the fun spirit between friends during drunk conversations. He considers the track to be “very special”. “I think this is the best song that I have made in terms of fast numbers. I believed in this song so much and felt that the song deserved the best. So we shot the video in New York,” said the singer, who did an acting course in the city years ago. He has collaborated with international talent in the past too. Ludwig Lindell from Sweden worked as a mix engineer on Baaki baatein peene baad. Doesn’t he have faith in the Indian team? “It’s not like I don’t have faith in them. Most of my team members are from India but I feel if they add value to a song, it doesn’t matter where they are from. The world is getting smaller. Nowadays, it is not so difficult to work with someone from another country,” he said. Kanungo has also won hearts of music lovers through cover songs. The latest one was O saathi from the film Shab. “I only do covers of songs that I like to sing. I do this for fun. Even if you have your own songs and a fan base, it doesn’t hurt to appreciate someone else’s music. I think ‘O saathi’ is the best love ballad of 2017. That song stood out for me. That’s the reason why I made it (cover),” he said. He will soon release a song with singer Neha Kakkar. “I love to collaborate with people. I am working with Rishi Rich and IshQ Bector too. I am hoping to release a lot of songs in the next three to four months,” said the singer, who will perform at Windmill Festival later this month in Mumbai. “Maybe next year but right now I am happy releasing singles because I want to do a lot of collaborations before releasing an album,” he said. He is also interested in acting. “I would love to do it but at least for the next six months, I want to focus on music. If I do a web show or movie, it would take away two to three months which I can’t afford to do right now,” he said.